Following James Harden’s epic 45-point performance in Game 4 of the Western Conference finals, there was every reason to believe that he could carry that momentum into Wednesday night’s must-win Game 5 at Oracle Arena. 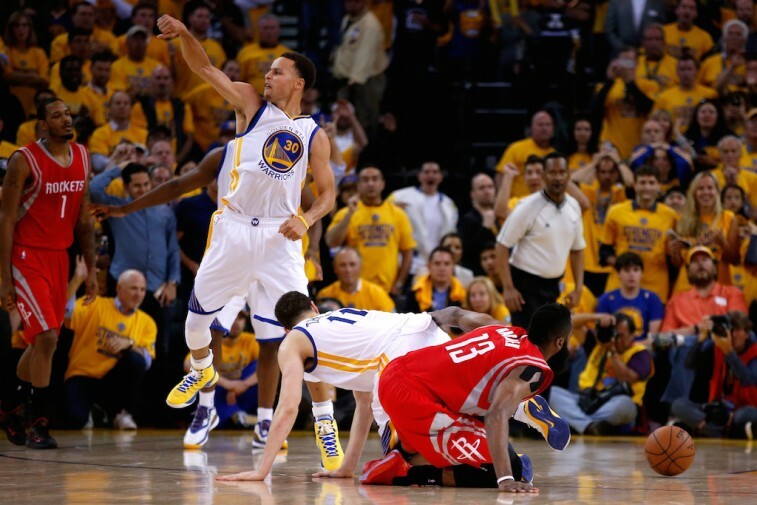 While no team in NBA history had ever overcome a 3-0 series deficit, the Houston Rockets had already shown their unparalleled resolve in these 2015 NBA Playoffs. Perhaps they had one more great run in them. Perhaps The Beard had at least one more sensational game in him. Unfortunately, they didn’t; and neither did Harden. In what would turn out to be the final game of their season, the Rockets lost handily to the Warriors by a score of 104-90. And in the process, Harden would have the kind of game that players hope to forget — the ones that usually end up keeping them up at night. When Houston needed its star the most, the guy who finished the season as the runner-up for MVP was no where to be found. Harden’s season would come to a close with a 14-point performance, going 2 for 11 from the field and 10 of 13 from the free throw line. But that wasn’t the worst of it. Instead of helping the Rockets make playoff history by storming back into the series, Harden made some playoff history of his own — only it wasn’t the good kind. After all, there is nothing good about 13 turnovers in a single game. 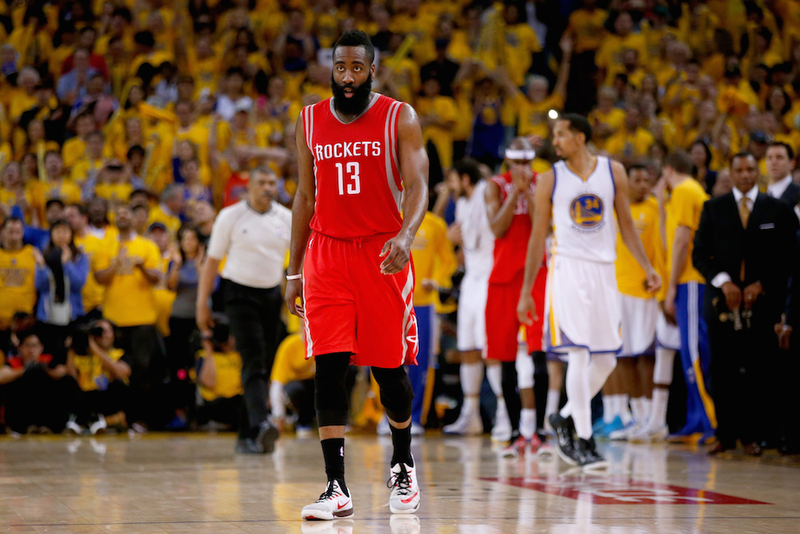 This wasn’t the first time that The Beard had committed double-digit turnovers in his postseason career. Back in 2013, during Game 3 of the Western Conference first round, Harden committed 10 turnovers in a game against the Oklahoma City Thunder. But this time was different. This was the conference finals and the Rockets were facing elimination. When a team’s back is against the wall, there is no room for error. And Harden knew he didn’t perform up to his usual standards. Of course, McHale was also well aware that this team wouldn’t have been in this position had it not been for Harden’s outstanding play all year long. Said McHale after the game: “Look, James didn’t play well, but as I’ve said all year long, we don’t win the division, we don’t win 56 games, we don’t have home court, we don’t beat the Clippers [on our] home court in Game 7 if it wasn’t for how James played all year long,” As spot on as McHale was with his assessment, that doesn’t mean this final game isn’t going to sting for awhile. The Houston Rockets came into Wednesday’s Game 5 hoping to play well enough to extend the series. But most people assumed that could only happen if James Harden had another standout performance. After all, he is the driving force behind this unit. But it wasn’t meant to be. 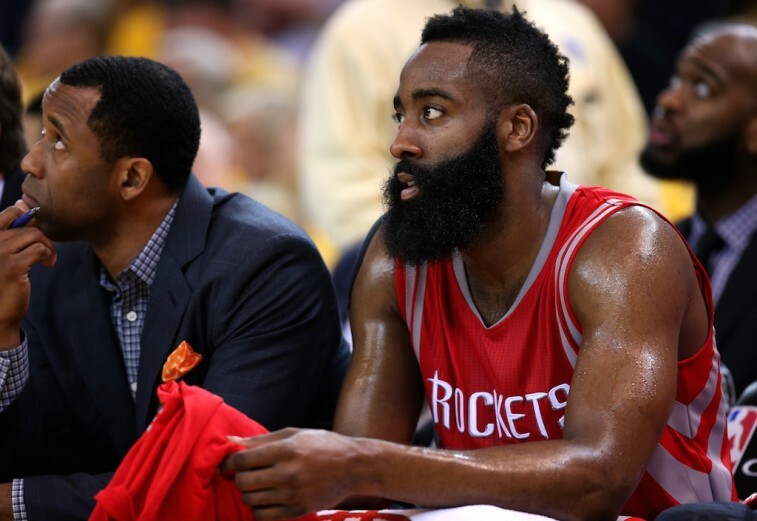 Unlike what went on for most of the season, Harden wasn’t able to delivery. With the season on the line, The Beard found himself in the position to help the Rockets make postseason history. Unfortunately, with his 13-turnover performance, Harden’s name will be in the record books all by himself. We have no doubt this superstar will find a way to bounce back. It’s just a shame we’ll have to wait until next season to see it.